Pawn your Breitling Watch! We offer Loans on Breitling Watches! Breitling is a Swiss-based manufacturer of luxury watches. The firm, which was founded in 1884, places certified chronometers in all their models. These timepieces were initially aimed at divers and aviators, although their high quality of craftsmanship means that Breitling watches are now considered luxury items. 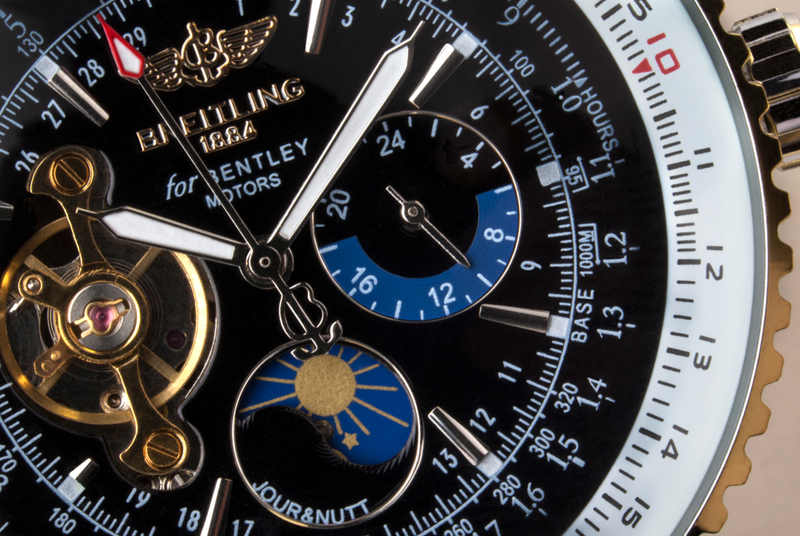 Models like the Breitling Aerospace Advantage, Breitling Navitimer, Breitling Emergency and Breitling Chronomat Bluebird are all in high demand and retain their value at auction. If you’re asking yourself “how can I pawn my Breitling watch?” and you’re based in London, it makes perfect sense to visit New Bond Street Pawnbrokers. We can offer same-day loans on Breitling watches at our London shop, and you can redeem your item after the loan has been repaid. What is the value of my Breitling luxury watch? While some watches begin to depreciate in value once they’ve left the showroom, brands like Breitling tend to hold and even accumulate value over time. The most expensive Breitling watch of all time is the Bentley Flying B, which sold for £198,000 at auction. There are just 50 of these diamond-studded models in existence. However, even modern models like the Emergency II Titanium regularly commands a price tag of £13,650, which is a testament to how revered the Breitling brand is. When taking out a loan on a Breitling watch, you can expect to receive a good proportion of the market value of your timepiece. Over time, watches get lost and damaged beyond repair. Older models, such as the 1941 Breitling Chronomat, tend to increase in value as the years go on. Although the Chronomat is still produced to this day (albeit in a different format), owning a vintage Chronomat is akin to owning a piece of history – and the market value reflects this. If you’re unsure about the age of your timepiece, our expert valuers will be able to provide you with an accurate estimate. If you’re wondering “what documentation do I need to pawn my Breitling watch at your shop in London?”, you should be aware that provenance could increase its market value. Certificates of authenticity, proof of purchase and even repair documents will all help to verify the history of your watch.